I’ve got a few pieces of work on display at Pickford’s House Museum in Derby, in their new exhibition on silk. 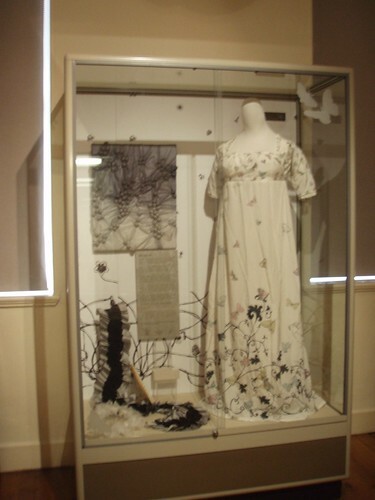 My work is on the left of this case – a Polonaise Panel, a scarf, a small framed piece and one of my organza neckpieces. The dress on the right was part of their Common Threads Project, which sounds fabulous. I’ve also got a lot of work on exhibition at Borough Museum and Art Gallery, Newcastle Under Lyme, Staffordshire, for a couple more weeks.